NCS participants lend a helping hand! 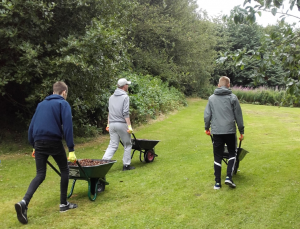 Over the summer, almost 100 young people on the National Citizen Service (NCS) gave their time to help out on Local Nature Reserves around Tamworth. As part of their NCS programme, run by UpRising Birmingham, the groups spend time visiting different community groups and charities in the area, then design and deliver their own social action project in their locality. Tame Valley Wetlands Landscape Partnership Scheme hosted each group for a conservation taster day during their programme. 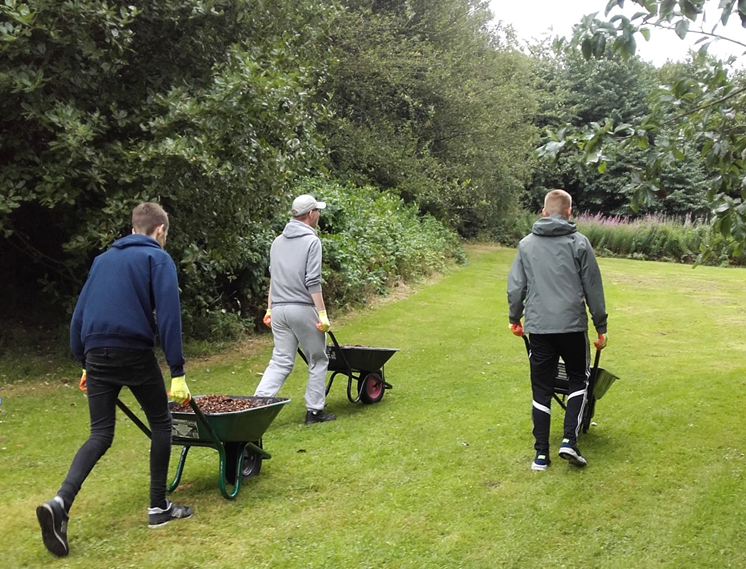 The young people visited either Broad Meadow, Kettlebrook or Warwickshire Moor Local Nature Reserves, pitching in to help with tasks such as removing Himalayan balsam, laying bark chip along a path, or removing invasive willow. Each of these sites has a dedicated volunteer group made up of local people, and are supported by the Wild About Tamworth project. Although only visiting the site for a few hours, the NCS participants explored the area and put their energy into helping to complete a task which benefits the reserve and the people who use the areas. This project is part of the Tame Valley Wetlands – a landscape partnership scheme supported by the National Lottery through the Heritage Lottery Fund, aiming to create a wetland landscape, rich in wildlife and accessible to all. The Tame Valley Wetlands is led by Warwickshire Wildlife Trust in partnership with a wide variety of organisations including charities, local groups, statutory bodies and councils. For more information, contact Nicola Lynes at youth@tamevalleywetlands.co.uk or on 01675 470917. This entry was posted in Blog, Latest News, Project updates, Projects, youth on 24th August 2017 by Ian Wykes.